Is a dangerous anti-ops movement gaining momentum? What do you think of the #no-ops movement that seems to be gaining ground? How does it related to devops? It’s an interesting question. With technologies like lambda & docker containers, the role & responsibilities & challenges of operations are definitely changing quickly. 1. What is ops anyway? What exactly is operations anyway? Charity Majors wrote an amazing piece — WTF is operations which I highly recommend reading. At root, operations is about providing a safe nest where software can live. From incubation, to birth, then care & feeding to maturity. The trend to a #NOops movement I think is a dangerous one. At first glance this might seem reflexive on my part. After all I’ve specialized in operations & databases for years. But I think there’s something more insidious here. Devs are often presiding over the first wave of software. That’s the initial period of perhaps five years, where frenetic product development is happening. After those years have passed, early innovators are long gone, and an OPS team is trying to keep things running, and patch where necessary. This is when more conservative thinking, and the perspective of fewer moving parts & a simpler infrastructure seems so obvious. All the technical debt is piled up & it’s hard to find the front door. There’s an interesting article The ops identity crisis by Susan Fowler that I’d recommend for further reading. I’ve sat in on teams talking about getting rid of ops & how it’ll mean more money to spend on devs etc. It’s always a surprising sentiment to hear. I would argue that developers have a mandate to build production & functionality that can directly help customers. This is in essence a mandate for change. Faster, more agile & responsive means quicker to market & more responsive to changes there. I’ve also heard the other camp, ops talking about how stupid & short sighted devs can be. Deploying the lastest shiny toys, without operational or long term considerations being thought of. The ops mandate then is for this longer term view. How can we keep systems stable at 2am in the morning? How can we keep them chugging along after five or more years? This great article Happiness is a boring stack by Jason Kester really sums up the sentiment. The sure & steady, standard & reliable stack wins the operations test every time. Ultimately dev & ops have different mandates. One for change & new product features, the other against change, for long term stability. It’s about striking a balance between the two. It’s always a dance. That’s why dev & ops need to come together. That’s really what devops is all about. 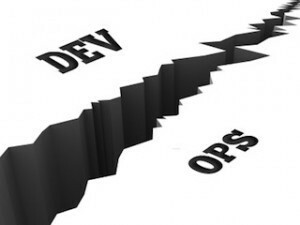 For some further reading, I found Julia Evans’ piece What Is Devops to be an excellent read.